Houston Eye Associates is the largest ophthalmology practice in the United States with multiple businesses in Houston. Houston Eye provides a full range of leading edge ophthalmology services through its more than 25 associated physicians. 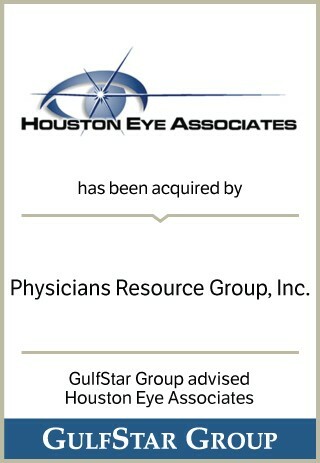 GulfStar assisted Houston Eye's doctors in completing a majority recapitalization with Physicians Resource Group, which was a national consolidator of ophthalmology practices. Houston Eye eventually repurchased the business.